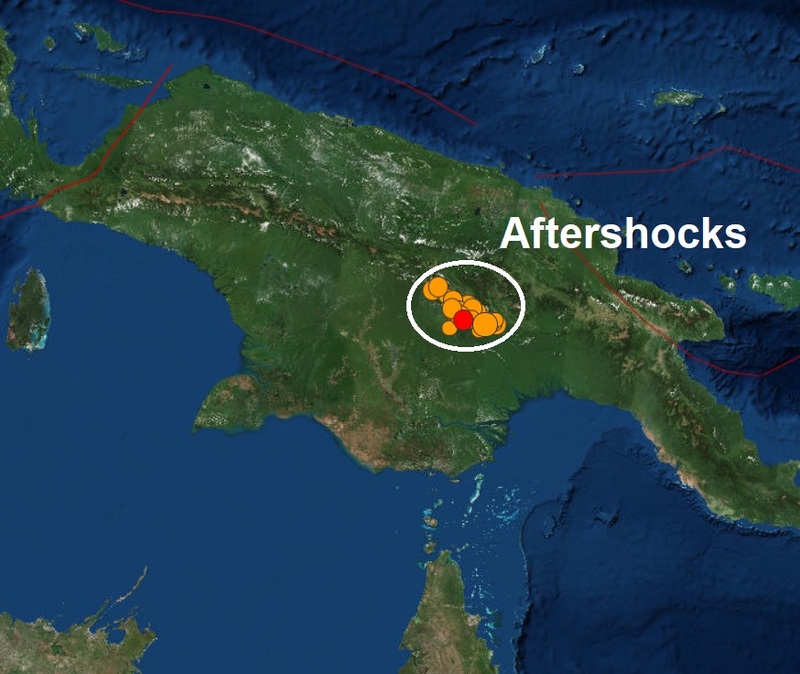 at least 30 large aftershocks have rocked Papua New Guinea after the magnitude 7.5 hit the area late last night. The huge 7.6 magnitude earthquake severely hit Hela and Southern Highlands. Although communication networks into the two provinces have been cut off, reports through satellite communication by Hela Provincial Administrator William Bando reveal that about 10 people have been killed while thousands of properties have been destroyed. Mr Bando said it is a very severe disaster as many lives have reportedly been lost. Mr Bando said the Komo Airport is believed to be damaged as half of the airfield has been destroyed. The PA is now meeting with the department of inter-government relations in relation to the disaster. According to new information received at (11:30am) the quakes have resulted in homes and properties being buried as the ground opened up and sank. Reports are yet to be confirmed but the situation looks severe. Furthermore, schools in both provinces and in other provinces along the fault line have suspended classes indefinitely. Oil Search Limited, the developer of Oil and gas developments in Hela and Southern Highlands said at 03.44 (PNG local time) on 26 February 2018, a magnitude 7.5 earthquake struck in the PNG Highlands. There have also been a series of aftershocks. Three days ago an enormous canyon-like hole (coronal hole) opened up in the Sun's atmosphere and once again major quakes have occurred during coronal activity. It's worth mentioning that of the 20 major quakes to hit our planet this year, 19 of them have occurred during coronal activity on the Sun and 16 of them has been around the very volatile Pacific Ring Of Fire. Today's major quake is the 8th of February. 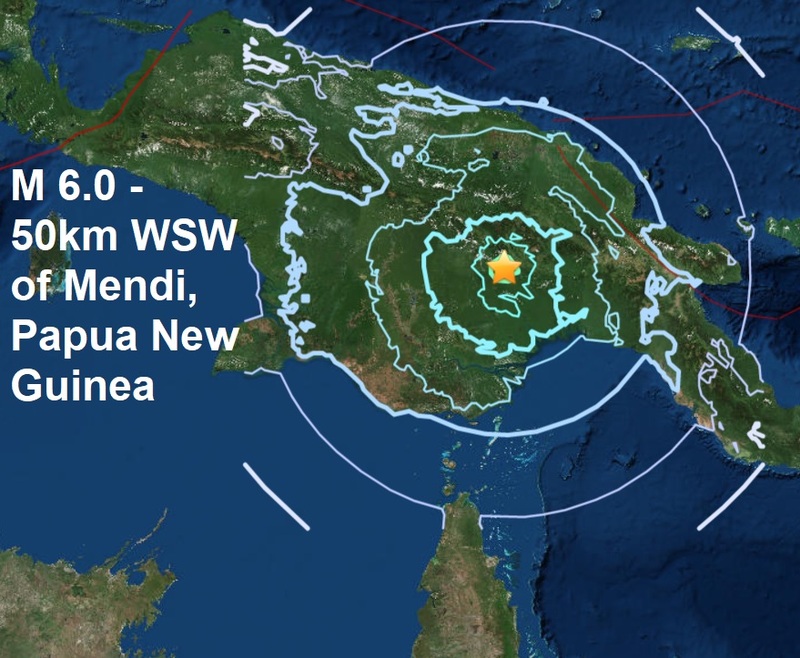 On the 22nd of January, a massive magnitude 8.4 reduced to a mag 7.9 rocked Papua New Guinea and is the biggest quake of 2018 so far.